Higher productivity and lower costs. TREEKING is driven to outperform. The forest industry—it’s about higher productivity and lower costs. However, Logging operations have used this formula for many years in order to stay competitive in today’s aggressive lumber market .In addition, The consistent implementation of new technologies is the way to make that formula work. 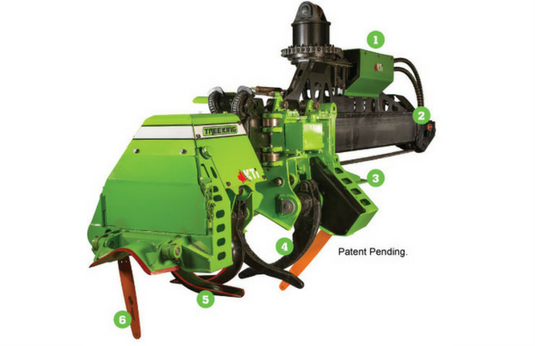 Most compelling evidence, The KTI TreeKing’s unique design increases productivity by decreasing ﬁber damage and down-time, allowing multi-stemming, all the while raising the bar with incredible accuracy and reliability.After all, Decreased down time with less moving parts, simpliﬁed construction and interchangeable components. All this capability in one cost-effective, cutting-edge machine. Want more information? Get in touch with us!